I’m lightheaded, feeling queasy, and all I want to do is lie down. No, I didn’t eat some bad sushi. I’m just trying to figure out the deal with Amazon Web Services (AWS). My group, Saltbox Communications, has been working with the folks at Ocean9 to help document a system that makes it easier for companies to take advantage of AWS. My role has been to act as the guy who knows nothing – and to ask the basic questions that sometimes go unanswered when you’re knee-deep in code. The aim on the Saltbox end is to generate useful web help for Ocean9 – but we’re also helping to make a system that’s as user-friendly as possible. Hmmm. Apparently, the wheel had been invented, but in the Americas its use seems to have been limited to children’s toys. [*] This got me thinking about the disconnect that can open up between a great invention and its application. The wheel is a great invention – but if you don’t use it to move things, grind foodstuffs, or power mills, what use is it? AWS is a great invention, too. You get compute, storage, and network cloud resources on-demand with affordable hourly pricing. But if companies find it too complex to use it for their enterprise applications, they won’t use it much at all. To be sure, the wheel analogy may be a bit of overkill. In fact, many organizations use AWS – which is why it’s one of the leading cloud resource providers in the world. But the broader point still stands: for AWS to be an option for folks who don’t use a command line interface to do their internet banking, something needs to change. Let’s say you want to deploy the SAP HANA database on AWS. Try using the templates AWS provides to get up and running and you’ll see what I mean. But first you’ll want to read the convenient 38-page quick start guide. And the manual setup guide. And the pricing guide. And while you’re at it, you may want to tackle string theory, solve climate change, and figure out the ending to the third Matrix movie. Getting up and running with AWS, in other words, requires a lot of thinking and lot of choices. Few companies have the time for either. What Ocean9 does is standardize both the thinking and choices you have to make to deploy on AWS. It does this through a user interface that makes default decisions for you, and presents other options in drop down menus – with context-sensitive help to guide you along the way. With help like this, you can get up and running with a new system in just 15 minutes. End-to-end operations with start, stop, suspend, resume, scale and backup of a HANA system. Seamless migration from POC to a Production type setup including System clusters and replication. System management console giving you insight into the health of your system. And finally a UI based management console, a set of APIs as well as CLI interface. Before Ocean9, all this was not existing and starting a HANA system in 15 minutes wasn’t possible. Right now, Ocean9 is focusing on SAP HANA deployments on AWS. This is because the guys who run the company have unparalleled expertise in both areas. Frank Stienhans, CTO at Ocean9, worked at SAP when SAP HANA was first released. It was his job to park himself at Amazon and figure out the best practices for deploying SAP HANA on AWS. He learned a lot – and his lessons are reflected in the Ocean9 system. 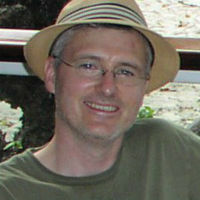 Swen Conrad, CEO at Ocean9, also worked at SAP and was deeply involved in the initial release of SAP HANA. He helped build the first interactive demos and the well-known SAP HANA test drives that enabled folks to get a real sense of the power of the in-memory database. From the beginning, Swen has understood the transformative potential of SAP HANA, but was frustrated by the roadblocks many companies faced in ramping up. Ocean9 is meant as a solution to this problem. With this experience and expertise, I can’t think of a team more prepared to help companies take advantage of both AWS and SAP HANA. If Ocean9 wasn’t doing this already, I think somebody out there would have to convince Swen and Frank to take it on. Ocean9 is young, and though today the focus is on SAP HANA, moving forward the company will bring in other data platforms such as Hadoop and Spark as well as front-end analytics services like SAP Lumira, Qlik, and Tableau. Expansion up the stack into SAP Business Warehouse for SAP HANA or SAP S/4 HANA is also a potential roadmap item. But whatever the case, the vision remains the same: a 100% hands-off service where customers can come to the Ocean9 website and quickly provision the resources to run their enterprise solutions in the cloud – with all of the speed, convenience, and savings that the cloud promises. As for us at Saltbox, we’ll continue to document the system, learning about all the AWS details underneath Ocean9 and helping to make your experience better every day. Stay tuned as Ocean9 develops as a company. It’s an exciting time for the cloud and with Ocean9, it’s never been easier to take advantage of what it has to offer. [*] There are explanations for this. Pages 222-3 of the book (hardcover version) discuss some of these.